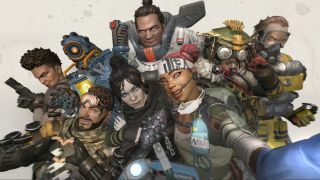 It seems Apex Legends will be getting another new character in the coming weeks. According to the Sony PlayStation Store listing for Apex Legends (spotted by Apex Legends Insider), another Legend and another weapon will be added to the battle royale game during Season One – which means we will see both added to the game within the next 12 weeks. "Two new characters will launch over the course of the season but in the meantime, look out for a new weapon set to launch as the season progresses," Sony's description reads. "Best of all, each new Legend and weapon will launch with a full set of cosmetics to unlock." In addition, "two new items will be introduced during the season that will offer something new and innovative to the strategic mix". Who is the new Apex Legend? This description by Sony essentially confirms rumors that a new Legend called Wattson will be added to the game. According to dataminer Shrugtal (via Apex Legends Insider), another seven Legends are planned for the battle royale. Although we don't know when they will launch, Wattson seems to be the most likely to land next, with Twitch streamer Shroud confirming he has play-tested both Wattson and the recently released Octane. We don't know much about Wattson yet, except that she is rumored to be the daughter of Apex’s lead electrical engineer. Which means Respawn may be planning to expand the game's lore aspect even further, creating a fully-fledged universe comparable to the likes of Overwatch. Respawn Entertainment has not yet confirmed if, or when, we will be seeing this new Legend added to the game.